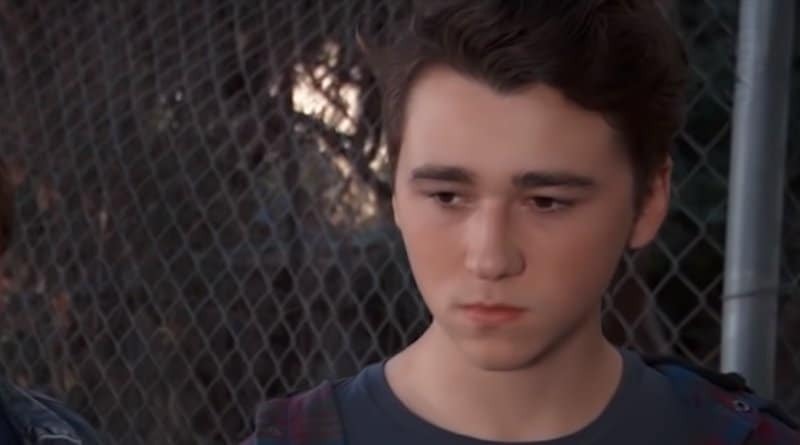 General Hospital spoilers hint Oscar Nero (Garren Stitt) may consider suicide. This GH spoiler is from a leaked script. Oscar may want to die on his own terms rather than letting cancer and his parents rob him of his choices. The leak from the GH script tease explosive information which seems to indicate that Oscar may be looking for a way out of his terminal cancer diagnosis. Oscar Nero feels that his life is spinning out of control. He is driven by a need to make his own decisions because every choice may be his last. As for Garren Stitt, it is not yet known whether the young actor will be leaving, or whether he will stay on the show. He has quickly become a fan favorite since debuting on the soap opera a year ago. With this cancer story, it could go either way. Check out details and see the GH spoilers leaked script below. More General Hospital spoilers showed Oscar Nero is clearly not thinking straight. Although an inoperable brain tumor could impact one’s ability to reason, Oscar’s recent decisions have been hasty and rash. GH fans will remember that he claimed that he wants to protect Josslyn Jacks (Eden McCoy) from the knowledge that he is going to die. So, he opted to break her heart before he died instead of after the fact. In a bizarre effort to make sure that she stayed away, he made a pact with Cameron Webber (William Lipton) to convince Joss that he had moved on. In the meantime, Joss enlisted Cam’s help in making Oscar jealous. The only problem is that it seems as if Cam and Joss are falling for each other for real, according to the latest spoilers. GH fans are now seeing how Oscar’s choice may backfire on him. GH spoilers show there is no denying that Kim Nero (Tamara Braun) should have told her son that he was terminally ill. She finally had the courage to tell Drew Cain (Billy Miller) the truth. But then Kim didn’t have the chance to tell Oscar Nero of his condition before he learned the truth. The teenager found out that he had cancer via a snide comment made by Cam. In one moment, his whole world was turned upside down. No wonder Oscar Nero has trust issues. It should come as no surprise then that Oscar wishes to emancipate himself so that his parents can no longer make any decisions about his health. He has been lashing out at Kim while trying to deal with his own pain. Now Alexis Davis (Nancy Lee Grahn) is on the case and he’s more independent by the day. A stunning twist may be ahead for Oscar. 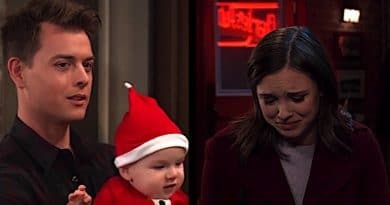 A General Hospital leaked audition script hints that Oscar may plan to end his life. The pages from a GH audition scene were for the role of “Cole” a drug dealer at the school. The dialog is between two characters with a teen buyer called “John”. Soap audition scripts don’t use current character names to try and keep plots secret. You can read the secret audition pages below. Both characters know Trina (Tiana Le) and that means they know Joss too. John wants to know how much the drugs will cost. While it doesn’t specify that John is Oscar, the context is that it’s a well-known male teen on the Port Charles scene. That means it’s Oscar or Cameron, but given his fatal diagnosis, Oscar is the likelier one. Several clues in the General Hospital audition script that the on-set leaker provided hint it’s Oscar buying the drugs. The kid earned his drug-buying money working at camp. GH viewers know that Cam, Oscar, and Joss worked at the camp. But the really important clue is about the volume of drugs he’s trying to buy. It’s about more than getting high. The drug dealer says “You’ll need that much for what you’re trying to do”. That sounds like a lot more than experimenting with drugs or zoning out. That sounds like the purchaser has an objective. Given that this is part of the teen scene plot, Oscar buying drugs to end his life is a plausible scenario if this script is part of upcoming General Hospital spoilers. Oscar Chooses Death On His Own Terms? We’ve seen on GH that Oscar is angry and doesn’t want the risky treatment. He seems to have accepted that he will die but wants to control his future. While its doubtful that the ABC General Hospital soap would follow through and have the teen kill himself, they may have a plot happening where he’ll plan it, buy the drugs, then something happens to stop it at the last minute. Oscar might consider suicide for many reasons. He may want to avoid the pain that might come with his cancer getting worse. He might also not want to wind up brain dead. He also knows his parents are struggling and may think if he kills himself, they won’t have to make tough decisions like taking him off life support if his brain succumbs to cancer but he’s still breathing. Most of all, though, Oscar has shown he wants to be the captain of his own fate, no matter what it is. Suicide is troubling, but for a teenage boy that’s convinced he’s going to die no matter what, it might feel like the one way he can control his life (and death). This could be a very strong story and the General Hospital actors are playing it well. There is a lot more story to come. However, there may be an alternative to certain death. There are lots of moving parts to this story. While Oscar is suing to emancipate to avoid the clinical trial, he may also buy pills as a backup plan. But a set insider says that Oscar may finally consent to the experimental cancer treatment if Drew will have his risky memory-restoration procedure. There are hints that Garren Stitt may be leaving GH, but nothing is confirmed although he’s got a second show over on Disney Channel and a career as an aspiring rapper. Next week’s spoilers for the ABC soap look intense as we head into November sweeps action. Tune in every weekday for new GH episodes. Then check back with Soap Dirt for the latest General Hospital spoilers, updates, and news. ‘General Hospital’ Spoilers: Baby Swap Exposed – Willow Pushes Michael Away?